Animal Control sends a notice stating that your dog’s rabies vaccination is due. Some of us will vaccinate readily. Because it’s legally mandated, it must be safe, right? Besides, what choice do we have? 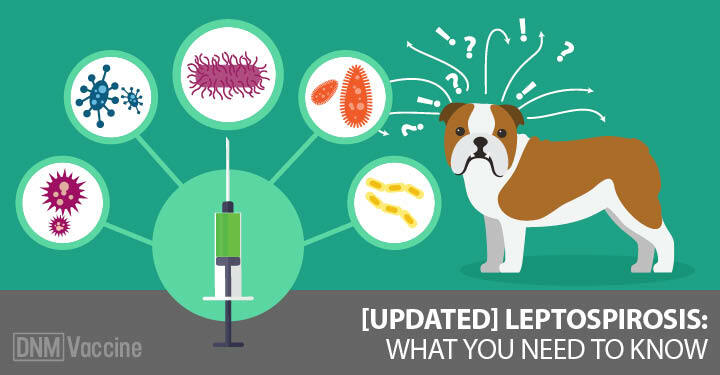 If you suspect a health or behavior problem may be connected to a vaccine, you may have to convince your vet. It’s common to hear “it couldn’t be the shot” or “a reaction like that is impossible.” Even the drug’s manufacturer (to whom you should immediately report the reaction — giving them the brand and lot# — may deny the connection. Insist on seeing the product’s package insert, viewable on-line or from your vet. Also know that long-term reactions aren’t usually documented or even studied. Note: a vaccine reaction, especially one supported by your vet, may entitle you to compensation for medical expenses from the drug manufacturer. Vaccinating an unhealthy animal can exacerbate illness and do irreparable harm. Also, immunity may not develop after vaccination because of the dog’s compromised immune system. This is especially dangerous as you may presume immunity that does not exist. Pets with autoimmune disease or cancer are obviously “not healthy,” but neither are pets suffering from stress from a move or surgery, a virus or infection, or allergies or skin problems or any other condition compromising health. (Never allow your pet to be vaccinated during surgery. If your dog has documented health problems, ask your vet to apply for a rabies vaccination extension or exemption. Many localities permit them even if state law doesn’t specifically allow them. If your vet won’t apply for an exemption, go elsewhere. You may want to contact a holistic vet who may better understand the dangers of vaccinating an unhealthy animal. If local law forbids exemptions, change the law. Numerous states are in the process of adding exemptions to their laws. Click this link to check your state’s rabies law and pending exemptions. Multiple vaccines given at once greatly increase the chance of reactions. Multiple vaccines are especially risky for small dogs. If you’re vaccinating a puppy, make sure your vet administers a one-year vaccine initially (as late as legally possible) and a three-year vaccine (or whatever is required in your area) thereafter. The one-year and three-year vaccines are virtually identical medically – but not under the law. A one-year shot must be followed by re-vaccination a year later. Note: the one-year shot is not safer than the three-year (except that it may contain fewer adjuvants). Vaccinate in the morning, early in the week, and don’t leave the area for at least an hour if possible. Watch for reactions for at least the next 48 hours. Reactions occurring when the closest vet’s office is closed can prove disastrous, even fatal. Thimerosol (mercury) in vaccines has been linked to adverse reactions. Certain homeopathic remedies given before, during and after vaccinating can lessen the chance of ill effects from vaccination. Click the link to find vet referral lists. …and make sure they’re recorded in your pet’s file. Have the vet sign relevant pages, get copies and put them in a safe place. (Vets lose records, retire and move away.) Also report the reaction to the drug’s manufacturer. (You’ll need the vaccine lot number.) Vets are notoriously bad at reporting reactions, but exemptions to rabies vaccination and drug safety require documentation. .. and license tags on your dog’s collar or harness. Otherwise, you may be forced to re-vaccinate if your pet bites someone, runs away and is taken to a shelter or if you have to board your pet unexpectedly. It will not satisfy legal requirements and you’ll have to have a vet vaccinate again. You will also be unprepared to deal with a potentially life-threatening reaction. Similarly, a vet’s office may likely be a safer place to get the vaccine than a mobile clinic. 13. Finally, support the Rabies Challenge Fund. World renowned scientists, W Jean Dodds DVM and Ronald D Schultz PhD are working as volunteers to increase the interval between rabies boosters by proving that the vaccine gives immunity, first, for five years, and then for seven years. They’re also working to establish a blood “titer standard” to provide a scientific basis to avoid unnecessary boosters with a simple blood test. This nonprofit group is supported solely by dog lovers and dog groups. Before the next notice from Animal Control arrives, do your homework. 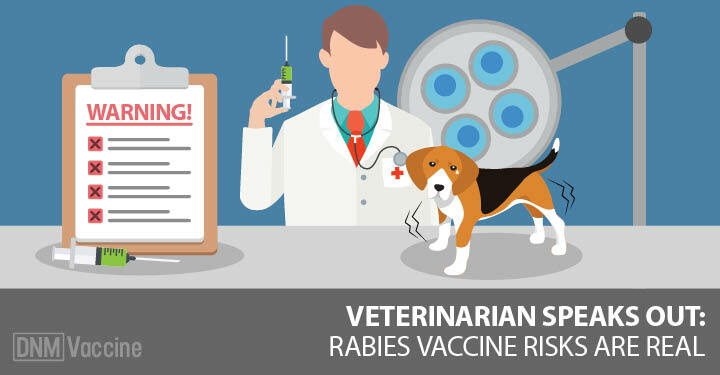 A little time spent learning about the rabies vaccine can mean the difference between your dog’s wellness and serious illness.